Back in June 2012, I started to see the image of a baby inside a bubble of cobalt blue light. It was literally floating and bouncing around me in my auric field. I was puzzled as I did not feel that having a child was a priority. Response: Babylove is for those who have unresolved feelings about the topic of pregnancy, a miscarriage or abortion. It’s also to help dissolve any residue, fragments or etheric cordings that may still be blocking the possibility of conceiving again or preventing creativity come forth in other ways. We are all creative beings by our existence and when we have blockages (energetic or physical) in the sacral area. I had a molar pregnancy miscarriage some years previously and the whole process was a surreal and yet a spiritual one. It served as the catalyst to end my marriage – even though I was not fully aware of all the details as it happened, as so much was hidden. It was a gradual revealing, even though I knew it was part of a much bigger picture which has brought many gifts since. Listen to my experience of my molar pregnancy miscarriage on my podcast here. Obviously these experiences can be painful, confronting and make you question everything. It’s natural to have stored much emotion in the physical body and etherically in our energy body, if there’s been turmoil not fully processed at the time. This creation is also helpful for those who have consciously chosen NOT to have children but may have unresolved thoughts, beliefs or feelings. It’s such a personal, intense topic understandably due to the fact it’s about our divine creative spark connecting with another soul and then birthing the miracle of a human being. Some are very clear about not wanting to have children but there could be some unconscious aspect that is holding onto beliefs or judgements about it and this can be blocking creativity from coming through in another form. I was then instructed to create this on 9th September 2012, exactly one year, since the creation of Fatherlove Alchemical oil at Uluru. Looking back now I can see how this was part of the ongoing integration process of balancing the masculine and feminine energies within. A lifelong process. I also felt that there was an audio process to create but over the coming months every time I went to create it, I kept getting told ‘no, it’s not time’, so I had to just go with that, as this is not something that can be forced and when I receive this work intuitively, there is nothing for me to actually ‘do’. I always feel like the observer. This is when I know I am in the process of surrendering. Over the next couple of years I kept receiving guidance (and from others) that I was a Soul Midwife and going to be focussing on working very much with merging the heart and womb energies. I wrote up a description for Babylove Skype sessions and could see clearly what it entailed. Regardless it just never felt like it was ‘complete’ as there was something just not there as it was still ‘cooking’. I put this up on my site but then took it down not long after, puzzled, but knew that from repeated and often (frustrating) experience I ‘see’ things much further in advance than they are grounded in the physical. So I just let it go but I kept researching more ways I could further delve into womb work. With my sun and moon in Pisces (and also Mercury), I’ve always been very visionary and intuitive and often years ahead with what I see, long before it comes into the physical plane. This has happened in many areas in my life and it’s a double edged sword as it’s created frustration of feeling like events are not happening quickly enough and then makes me doubt myself. Then I let it go and think ‘oh well maybe not then’ and sure enough, that vision manifests itself. My podcast ‘Unclassified Woman’ was again another angle on this topic of exploring amazing women around the world, creating meaningful lives, that do not necessarily involve having biological children – for any number of reasons. However, I had the knowledge that we create EVERYTHING from the womb space, as this is where all forms of life begin and complete. So I just let everything percolate….in its womb space, gestating. 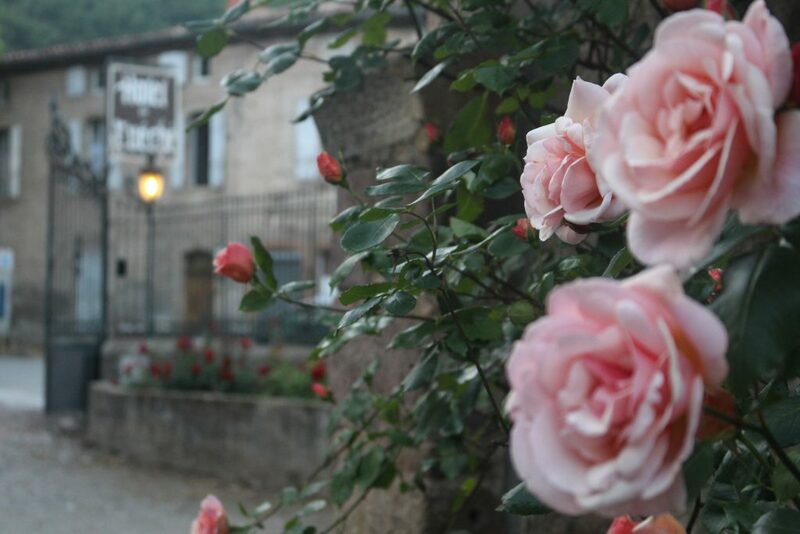 During May, visiting many sites in connection with the Mary Magdalene and her time in France, I was overwhelmed with the stunning beauty and abundance of roses EVERYWHERE. Being a passionate aromatherapist and flower love, it’s my idea of heaven. 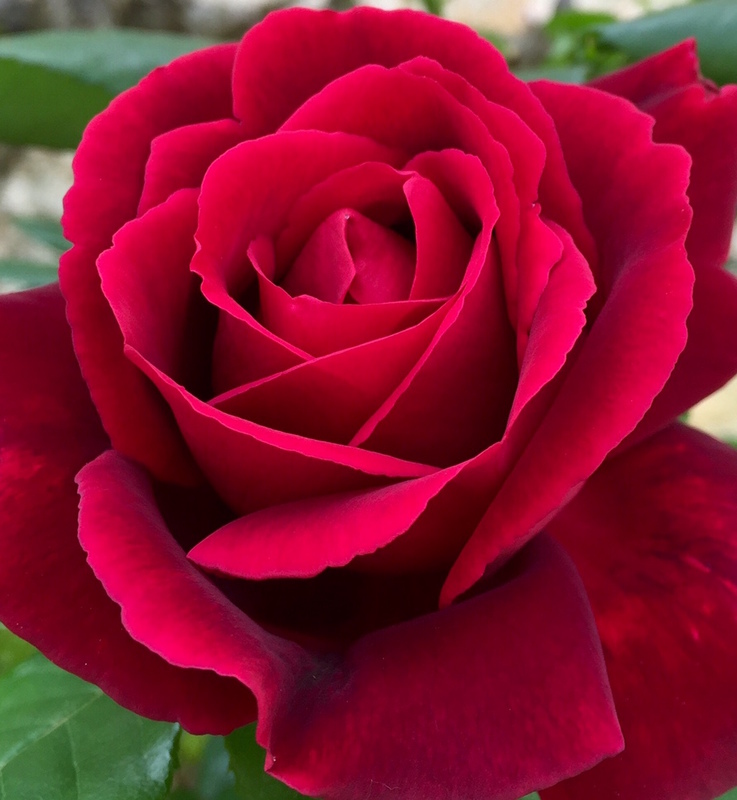 Being on the path of the ‘mystical rose’ and working with the grail gates of the womb, roses are hugely symbolic. Our group stayed at in the medieval village of Alet Les Bains in a hotel called Hotel Eveche that was a former Bishop’s Manor house, on the banks of the River Aude, with a ruined Abbey in the grounds. There were rose bushes everywhere and I mean everywhere. Morning and night I indulged myself inhaling their intoxicating aroma and took some photos. This one in particular grabbed me (main image above) and even now I have this as the screen saver on my phone. I also had it included in the Womb Love Alchemical oil label. I had a strong feeling at the time so many of the stunning photos I captured would be included in a future creative project (watch this space). I received that calling the alchemical oil, Babylove was narrowing the focus to immediately give the impression that it was all about having a physical baby. Whereas it is all about the birthing process, in a more expanded way. Yes for some working with the alchemical oil it may be all about releasing residue and bring more love into the womb space in preparation for having a child. However it is strongly connected to birthing your soul essence in the world in your own unique way. When we bring all energy and experiences held and stored in the womb space back into love and acceptance, we can create and birth entirely new ways of being. We can awaken this magical portal and transform our relationships, our connection to our Shakti life force, reclaim our sexuality, sensuality and create divine union. What is Womb Awakening and how can it assist? Read here. So when working with Womb Love Alchemical oil the intention is to affirm whilst applying: I birth my soul gifts into the world. Divine Creativity births through you, at every moment. Sometimes we forget that just by the nature of being alive, we are a spark of the universal force of limitless creative power that exists within. We each have our soul path. There are certain things that can ONLY be expressed, created or given birth to through YOU alone. The way you live is an expression of the creative force. Are you ready to drop deeply into your divine feminine self and let her guide you? This was created and the first batch bottled early December 2016 on the first day of a 21 Day Magdalene Vision Quest, which was perfect. As this type of creation process always does, it then enabled me to receive clarity of ANOTHER creation a few days later of Magic Alchemical Mist. I had been receiving intuitive nudges about this for a while of ‘creating a bottle of magic’ but every time I immediately dismissed it as being metaphorical. However I then saw that no, it was literal and was to be launched at the end of 2016…. So do you know what else is percolating and gestating within you, preparing to come into the world? 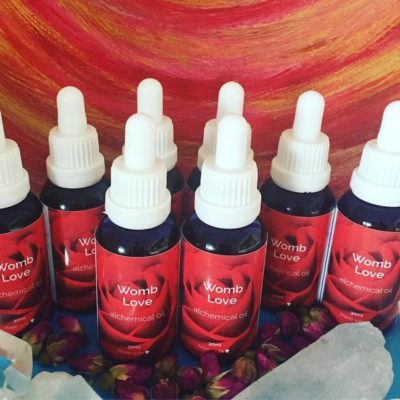 See here for Womb Love Alchemical oil. There will also be an accompanying audio coming very soon.